After six months at sea, the first Royal Canadian Air Force (RCAF) helicopter air detachment (HELAIRDET) to operate a CH-148 Cyclone during deployed operations returned home to Halifax, N.S., on Jan. 21. 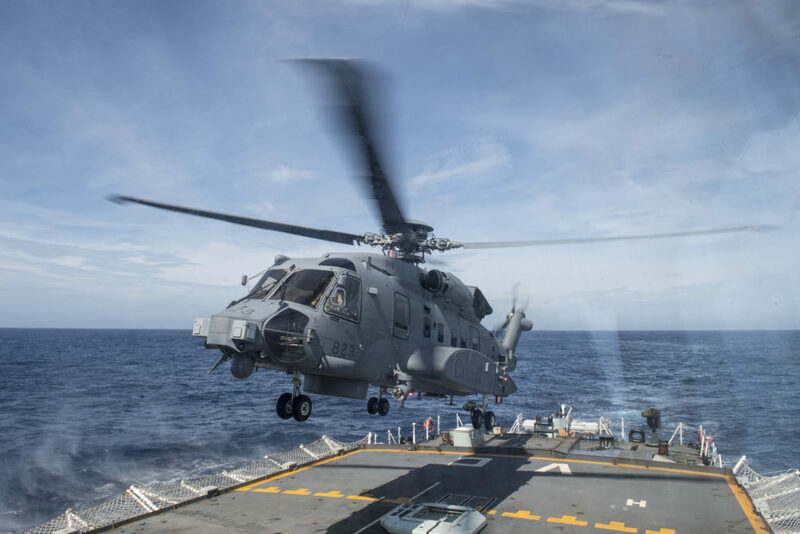 The successful conclusion of the Cyclone’s first deployment heralds a new era for the RCAF, which previously operated the CH-124 Sea King maritime helicopter for 55 years. 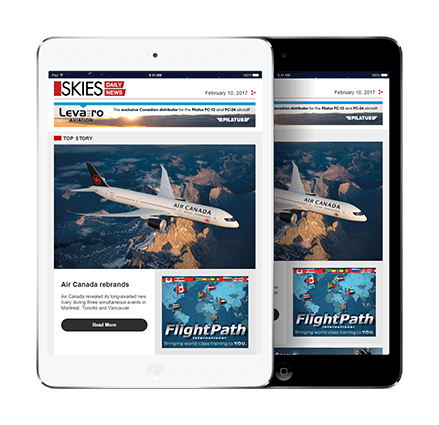 Patrick Dirksen and Frank Mink of Tristar Aviation interviewed Maj Erik Weigelin, a pilot and the HELAIRDET commander for the mission, on board the HMCS Ville de Québec while the deployment was ongoing in December 2018. Based at 423 Maritime Helicopter Squadron in Shearwater, N.S., the HELAIRDET included Weigelin as commander, as well as 11 technicians and two flight crews, both consisting of two pilots and two operators. 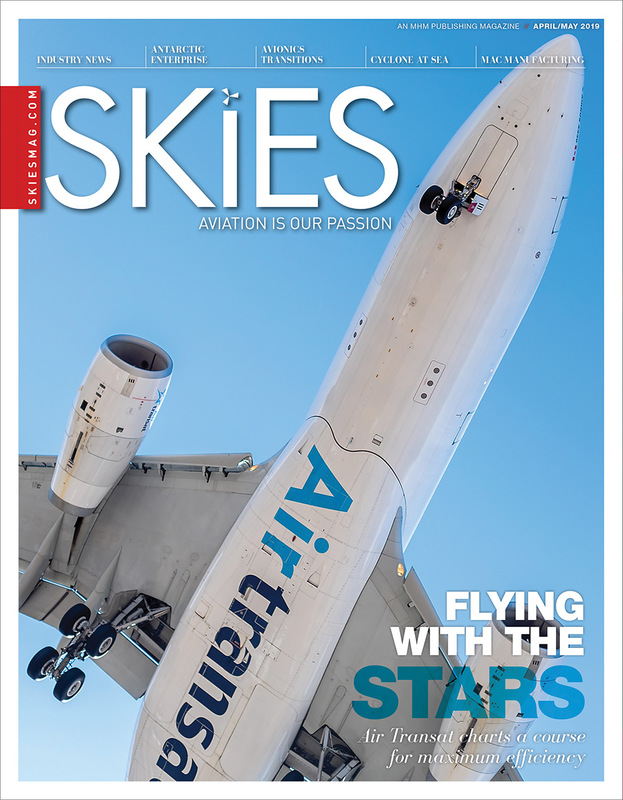 “We are excited to have it in our hands. 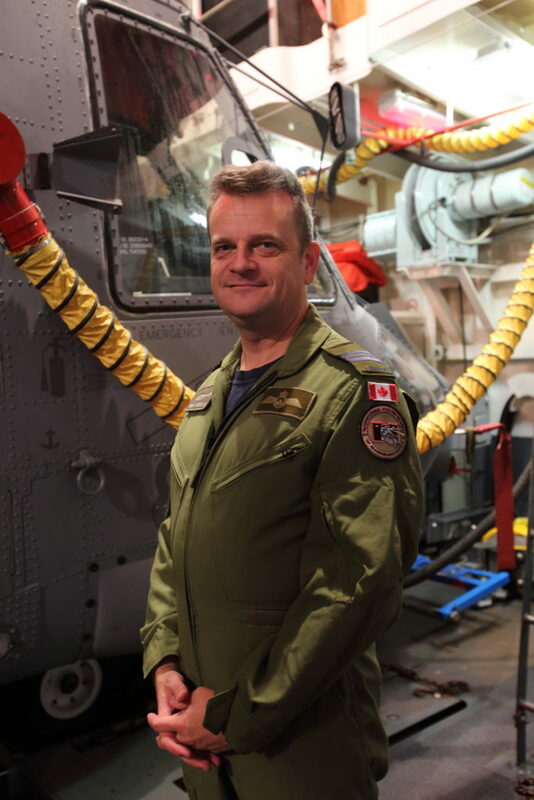 It’s the first time the CH-148 went ‘over the horizon’ and it’s fun,” said Weigelin during the mission. HMCS Ville de Quebec departed Halifax on July 18, bound for the Mediterranean Sea where she served as part of Operation Reassurance. The ship also took part in the NATO Exercise Trident Juncture 2018. Under Operation Reassurance, the ship joined the Standing NATO Maritime Group Two (SNMG2). 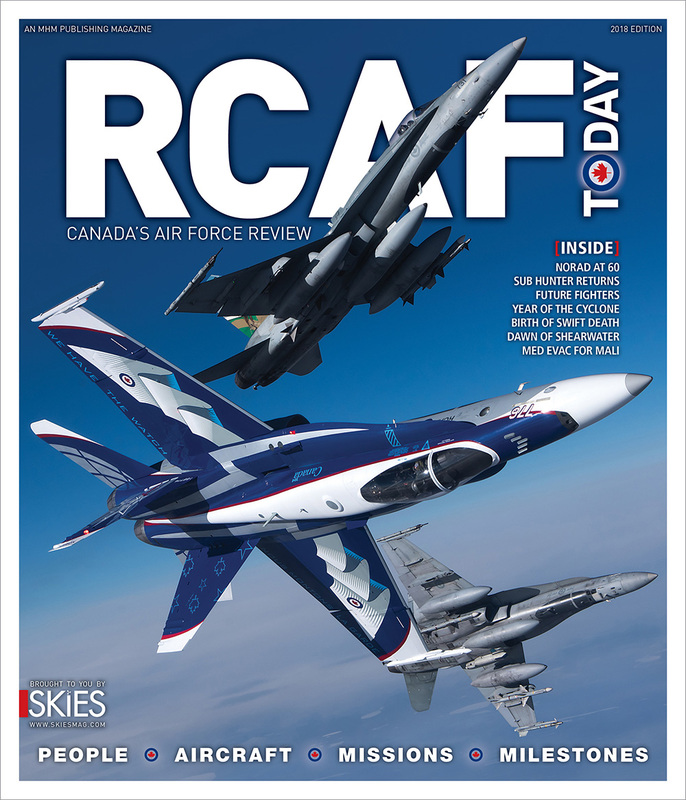 The mission marked the first time the Cyclone has been operated with Canada’s coalition partners, giving its crew a chance to validate both tactics and training. At 12 Wing Shearwater, training and development takes place mostly in CH-148 Block 1 and Block 1.2 helicopters. The Ville de Quebec detachment, however, was equipped with the most current Block 2.0 variant. Lacking only some software updates, this variant is close to the final production version. 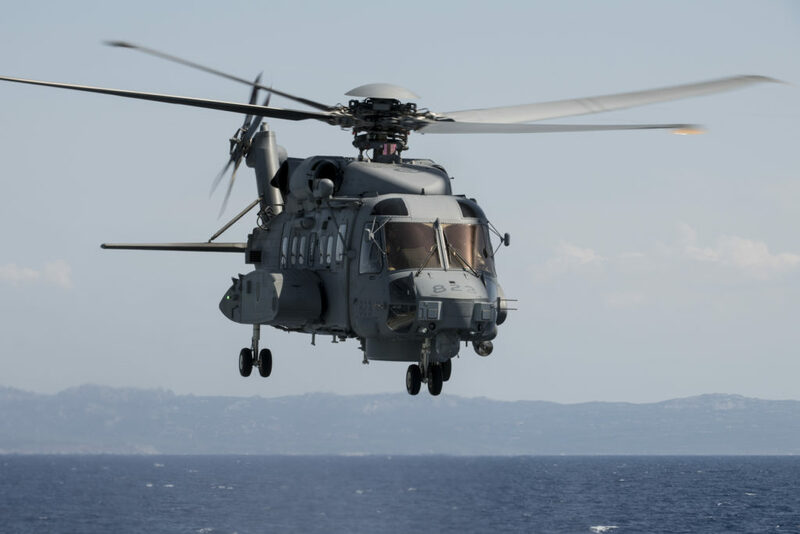 During Trident Juncture, the CH-148 proved its value. Operating with the invasion force during the exercise, the Cyclone provided anti-submarine warfare (ASW) coverage for the amphibious landing forces. It also went up against nuclear submarines from the French navy and Norwegian and German diesel/electric submarines. Both the helicopter long-range active dipping sonar (HELRAS) and the deployment of sonar buoys were used in this cat-and-mouse game, during which movement lanes for the landing force were cleared from submarines and entrances to the fiord were guarded from the air. The CH-148 paired up with a Royal Netherlands Navy NH-90NFH stationed on board SNMG2 flagship HNLMS De Ruyter. Since both helicopters use the HELRAS dipping sonar system, mutual tactics were developed. Both aircraft operated in 12-hour windows to provide 24-hour ASW coverage during the whole exercise. When not flying, the CH-148 crew was on an “alert 30” status throughout the exercise, meaning they had to lift off within 30 minutes of a call. The crew room on the ship houses the mission planning and analysis system (MPAS), which acts as an on-board workstation. The MPAS allows the tactical co-ordinator (TACCO) and the sensor operator to pre-plan their mission and load it onto the CH-148 via a hard disk. The hard disk can also be used to download a complete post-mission record for review. The collected data are also sent back home to the Aerospace Warfare Centre for further analysis. Since this was the Cyclone’s first operational deployment, one additional mission support crew member was on board for workload assessment. In the future, the ship’s combat system will be connected with the MPAS system. Trident Juncture saw a large influx of gathered data compared to earlier exercises with the CH-124 Sea King-it was “beyond expectations,” according to Weigelin. The TACCO sends and receives information from the ship via Link 11. The ship itself is Link 16 capable and can modulate data to Link 11 format for the CH-148. The APS-143 multimode radar proved very effective during this deployment, especially while the ship monitored migration vessels in the Mediterranean Sea close to Syria. “We can get up and make a quick radar picture of anything around us,” explained Weigelin. 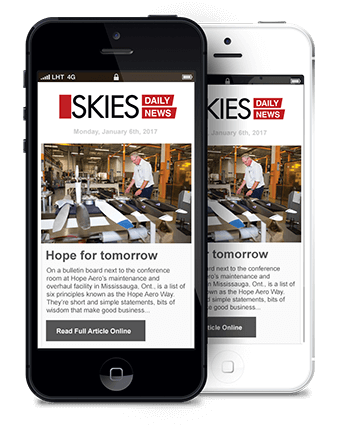 “We can cover hundreds of square miles instantly. This deployment validates these capabilities. While the helicopter is NVG [night vision goggle] compatible, the ship doesn’t have NVG lighting yet. However, all ships that will carry Cyclones in the future will be equipped accordingly. He said the RCAF is currently performing regression testing on the Block 2.0 Cyclones to check the results from similar tests on Block 1. 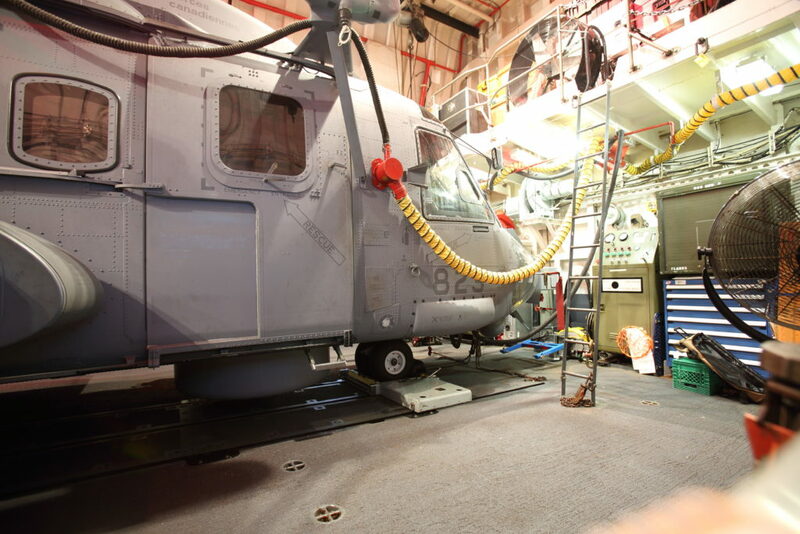 Anti-piracy trials were also a function of the CH-148’s first deployment. In the future, the helicopter can also be equipped with a 7.62-mm door gun and another one on the ramp for these types of missions. Trials have already been done. After certification, the helicopter will also be able to carry two torpedoes – the first tests with those have also been done already.